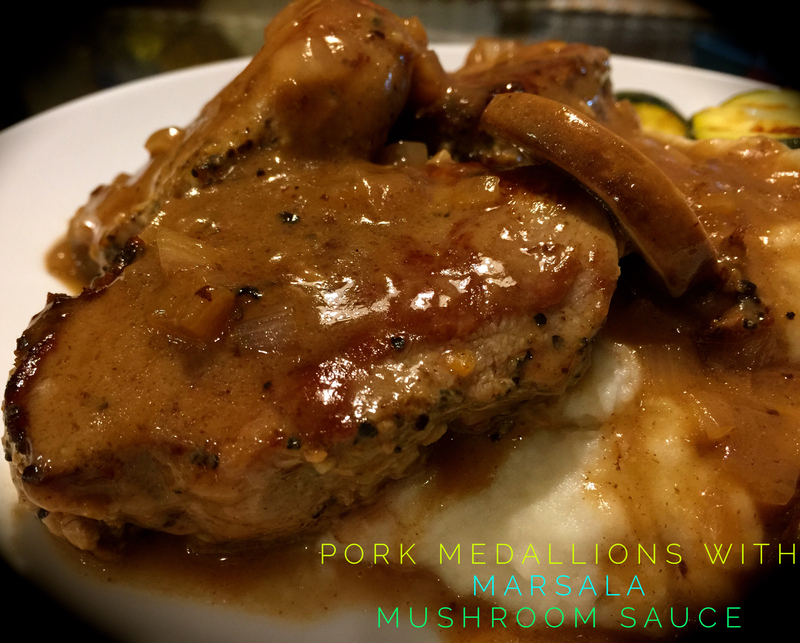 Pork Medallions with Marsala Mushroom Sauce… – You Betcha Can Make This! There’s almost nothing that beats a good pork tenderloin. I’ve mastered the art of cooking this very tender cut of meat and am always looking for new ways to prepare it. I made this recipe the other day and it hit the spot. It’s a shining example of what comfort food is all about. 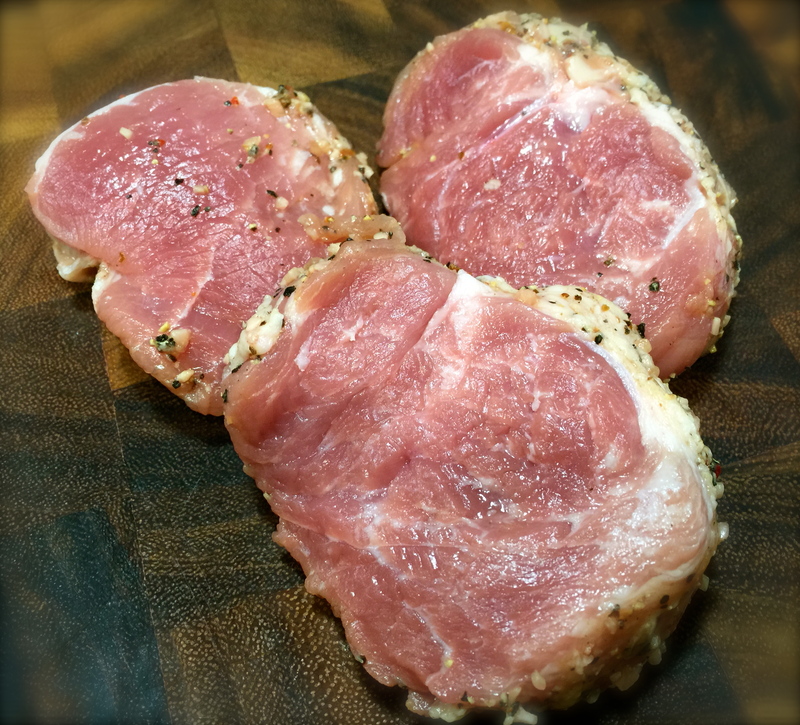 You can easily find pork tenderloins in the grocery stores packaged in a variety of marinades or plain. For this recipe I chose a lemon pepper marinated loin. You can choose whatever you want. Just make sure whatever marinade you choose will blend nicely with the marsala mushroom sauce. What’s also great about this dish is it’s pretty easy and quick to prepare, so instead of having the same old boring thing for dinner you can make this and get it on the table in half an hour. I served it over store bought pre-made mashed potatoes (I like the Bob Evans brand the best) with a side of marinated grilled zucchini. it was fabulous! Lesson Learned 1 – Cut the tenderloin into 2 inch medallions: Two inches is the perfect thickness to cook in the allotted time. Remember pork tenderloin is just like a boneless, skinless chicken breast. Both can be extremely flavorful and tender but most people tend to overcook them. A slight pink in the center of the pork is perfectly fine. Overcooking a piece of meat that has minimal to no fat like this can be a little tricky. If you cut the medallions to two inches in thickness, three minutes on each side should do the trick (you will also simmer them in the sauce for a couple of minutes at the end). Make sure you start with a hot pot. That is why you use a combination of both butter and oil in the pan. Butter has a lower smoke point and the oil offsets that so you can get the pan warmer without burning the butter while still getting the butter flavor. You want the pork to get a nice sear. At about three minutes you should easily be able to turn the medallion over without it sticking to the pan. If not, let it cook a little while longer. Don’t force the meat from the pan. When the meat is adequately seared it will automatically release itself from the pan and you will be able to turn it over easily. The picture on the left shows the type of sear you want to get on your medallions. Don’t worry, the pan will do all the work for you if you are patient. The second side should cook within 2 -3 minutes. Lesson Learned 2 – Don’t crowd the medallions while searing them: If you have to, cook the medallions in batches. If you overcrowd them in the pan they will steam instead of sear. Once you return the medallions to the sauce you will simmer them for a couple of minutes to complete the cooking process (picture to the right). Searing will insure that you keep all those wonderful juices in the meat. Lesson Learned 3 – Shut off the heat and take the pan off the stove when adding the Marsala and white wine to the pan: Recipes quite often forget to mention this, and this is an important safety tip. Any type of alcohol added over a heat source can cause a fire flare up. You want to avoid burning yourself or setting the house on fire. So be on the safe side. Take the pan off the heat source, add the wine and then return the pan to the heat. It’s better to be safe than sorry. 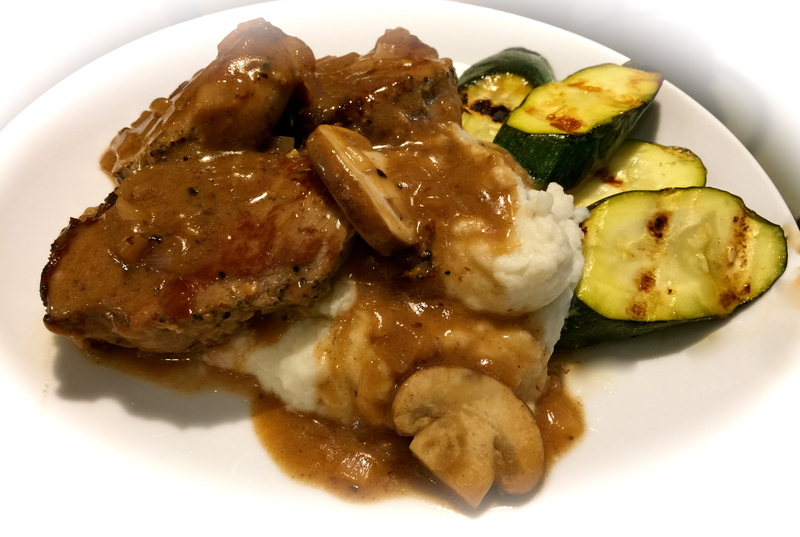 I cut the entire tenderloin into medallions used six for this recipe and froze the rest. This recipe is designed to serve two bigger or three smaller appetites but you can easily increase the ingredients to serve more. Heat olive oil and butter over medium – high heat. 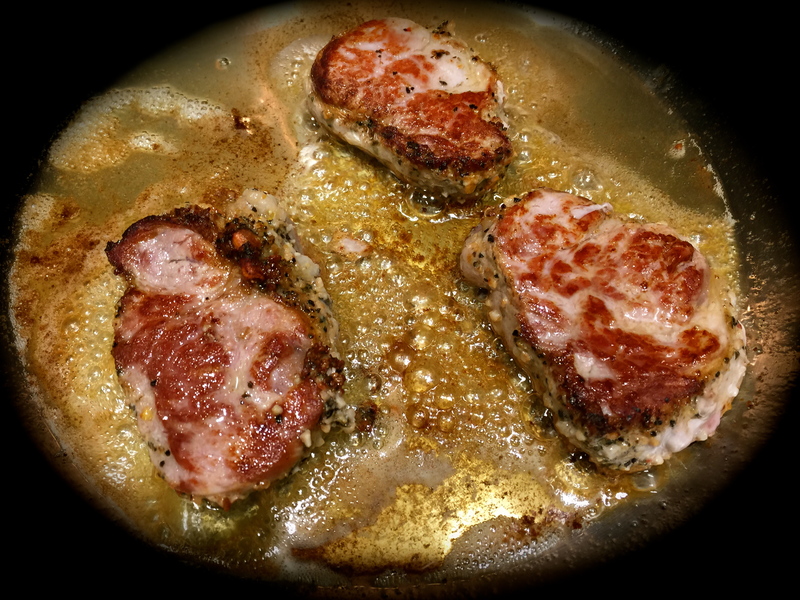 Add pork medallions and brown on both sides – approximately three minutes on each side. Remove medallions from pan to a plate and cover with foil to keep them warm. Add shallots and mushrooms to the pan and stir until coated with the pan drippings. After the mushrooms have slightly softened, remove the pan from the heat. Add the Marsala wine, chicken stock and white wine. Place back on the heat and continue to cook until the liquid has reduced by half. Combine heavy cream and cornstarch. Mix until thoroughly combined. Add the cream mixture to the pan and whisk into the sauce until it starts to thicken. Taste the sauce to see if it needs salt and pepper. Season to taste. 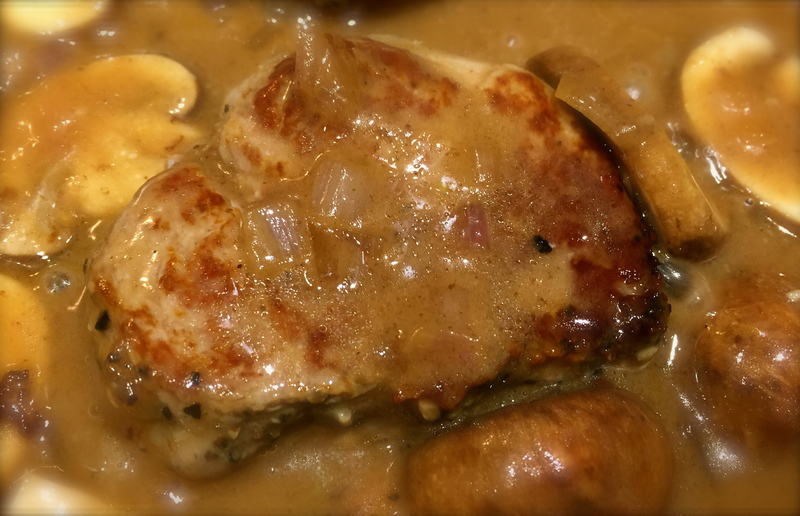 Return the pork medallions to the pan an simmer in the sauce for about 3 minutes. Serve immediately. Good dish! I haven’t made this in years since leaving California. This is a great dish and looks so much fancier than the time it takes to make it.